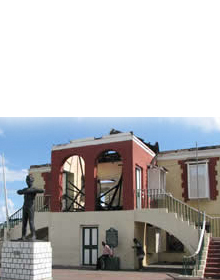 The Jamaica National Heritage Trust (JNHT) is a statutory body under the Ministry of Culture, Gender, Entertainment and Sport (MCGES) with a legal mandate to protect and preserve the nation's heritage. The organisation legally declares or designates places and objects of historical value as National Monuments or Protected National Heritage. 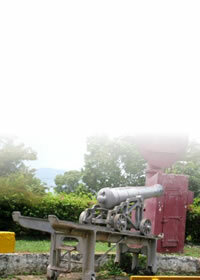 The organisation had its genesis in the Jamaica National Trust Commission which was formed under Law No. 72 of 1958. In 1985 a new law was passed which changed the name of the organisation, enlarged its functions and widened its powers of enforcement. 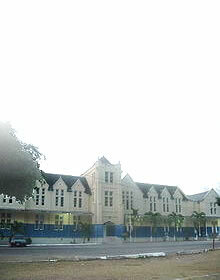 The JNHT has a staff complement of 131 persons spread across the island. The organisation carries out its functions through five Divisions, namely, Archaeology; Heritage Protection, Research and Information; Communications; Estate Management & Business Development and Corporate Services. There are several satellite stations that have their own administrative offices and function as attraction sites.